England Rugby Ball Cake, a photo by CAKE Amsterdam - Cakes by ZOBOT on Flickr. 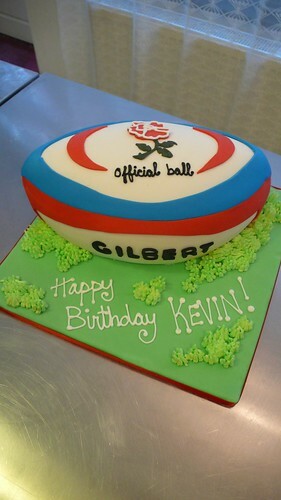 Rugby ball cake for an England fan! FLAVOR : Chocolate Cake with rich Chocolate ganache buttercream.